Toy Lair 4.0 Preview 1, originally uploaded by AndyBartlett. 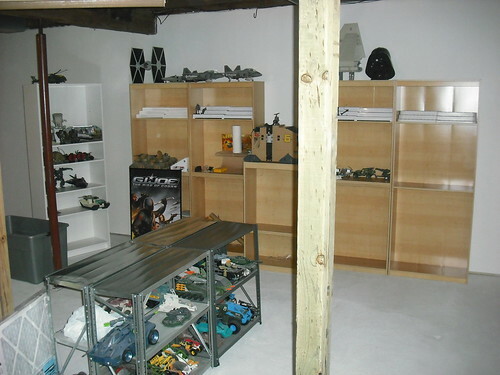 This is the first of three pictures I posted of Flickr as a preview of Toy Lair 4.0. This is a picture of the five new bookshelves I’m adding to this iteration of The Toy Lair. ♥ Target clearances; the total cost of those five bookshelves was less than $90, and the three-shelf case was only four bucks. The “G.I. Joe: Rise of Cobra” video game promo poster you can see on the left is hanging on the wall above the small bookcase now.